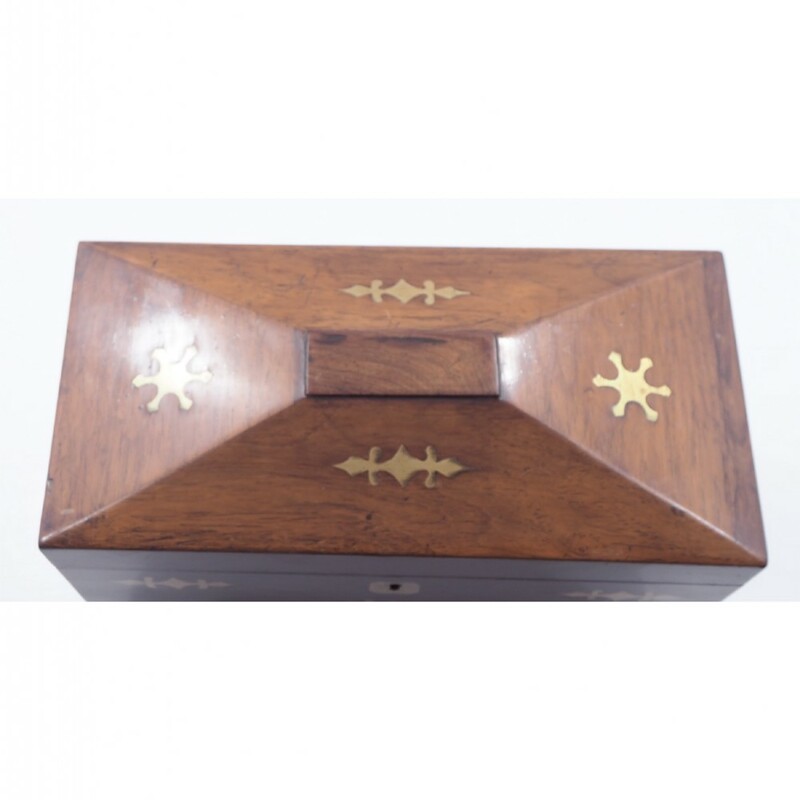 Pleasing Regency period brass inlaid rosewood veneered box. 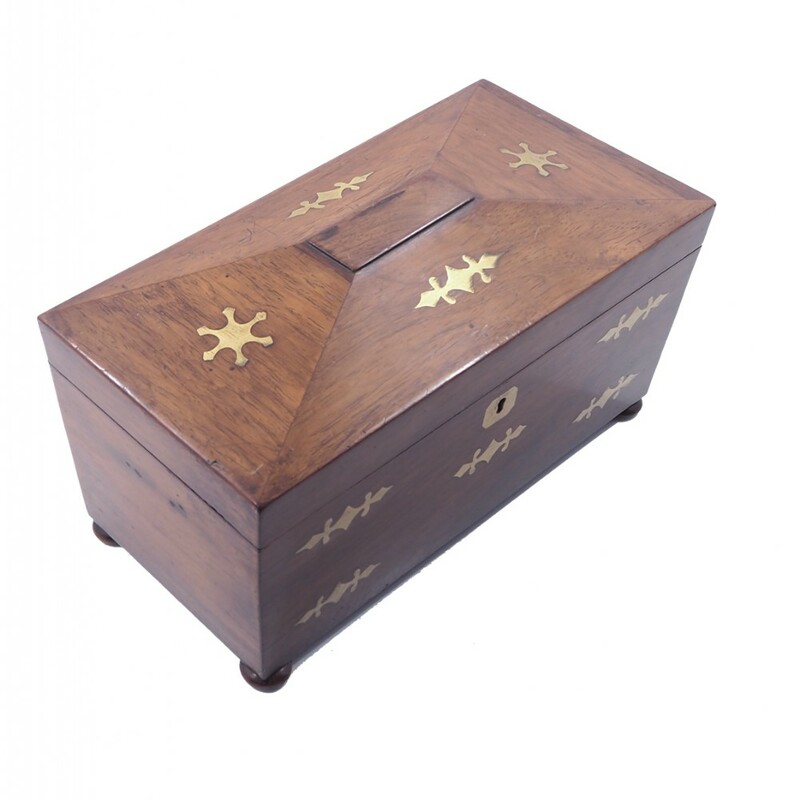 The box itself is in very good condition with no repairs and has all its original turned rosewood feet. 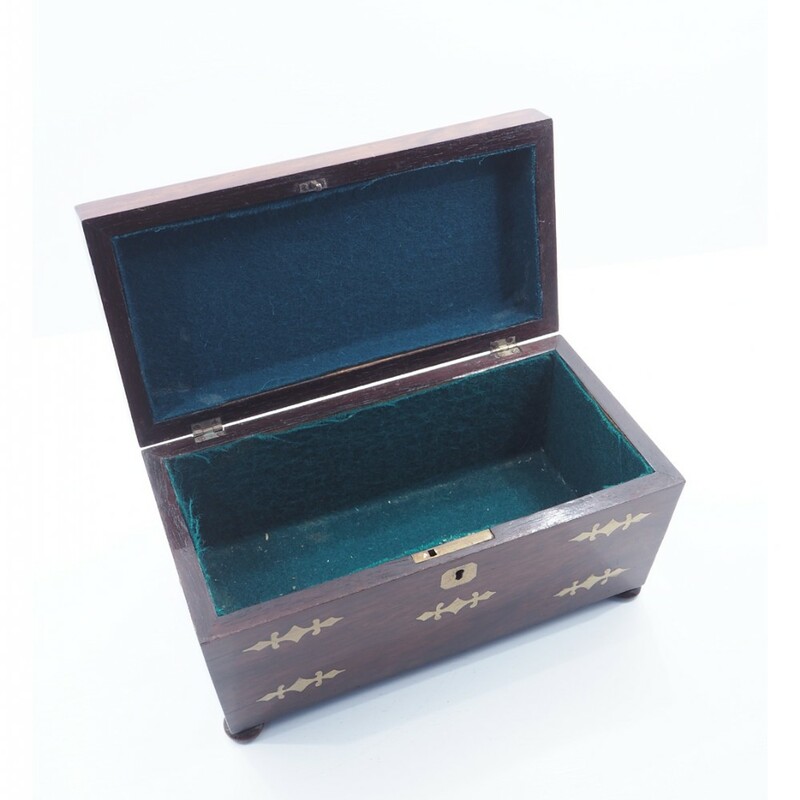 Originally it was probably a tea caddy but the inside is now just lined with green baize. 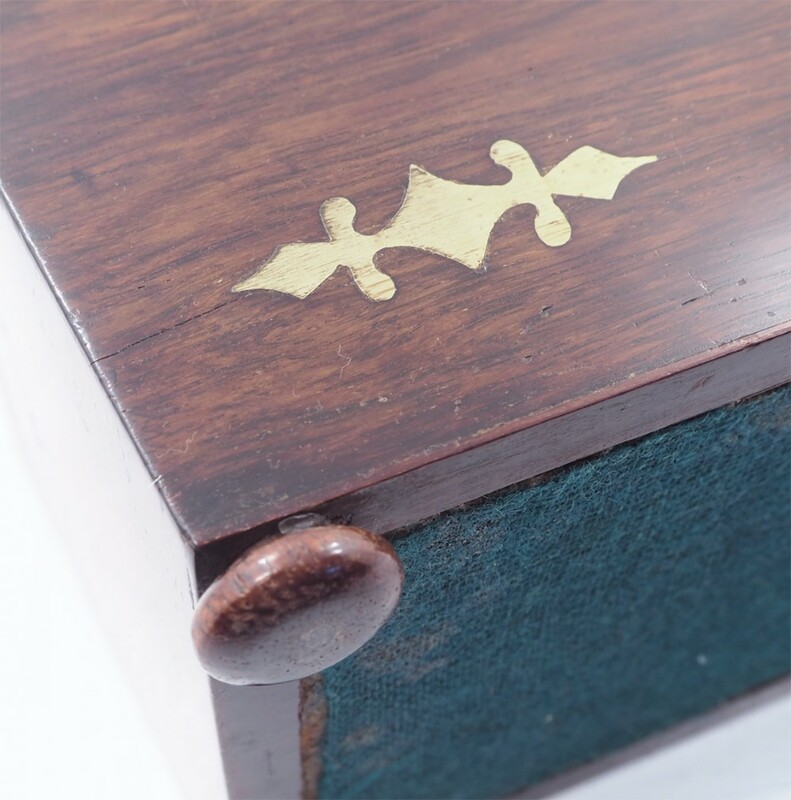 The box also originally had brass side handles which are now missing as you can see slight marks where they have been. 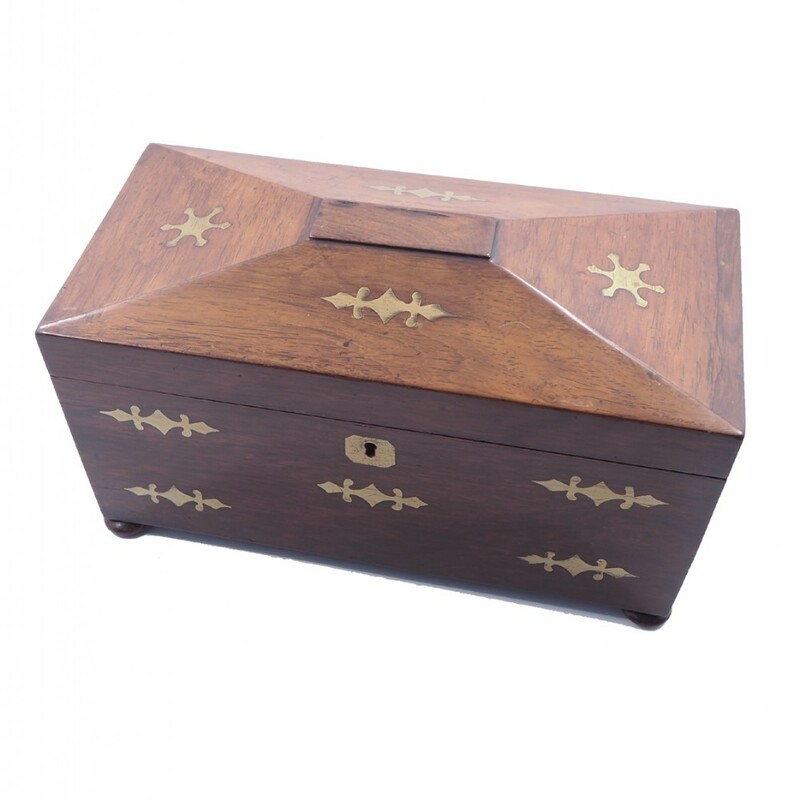 Just a rather pretty box which is useful as a wee storage box. 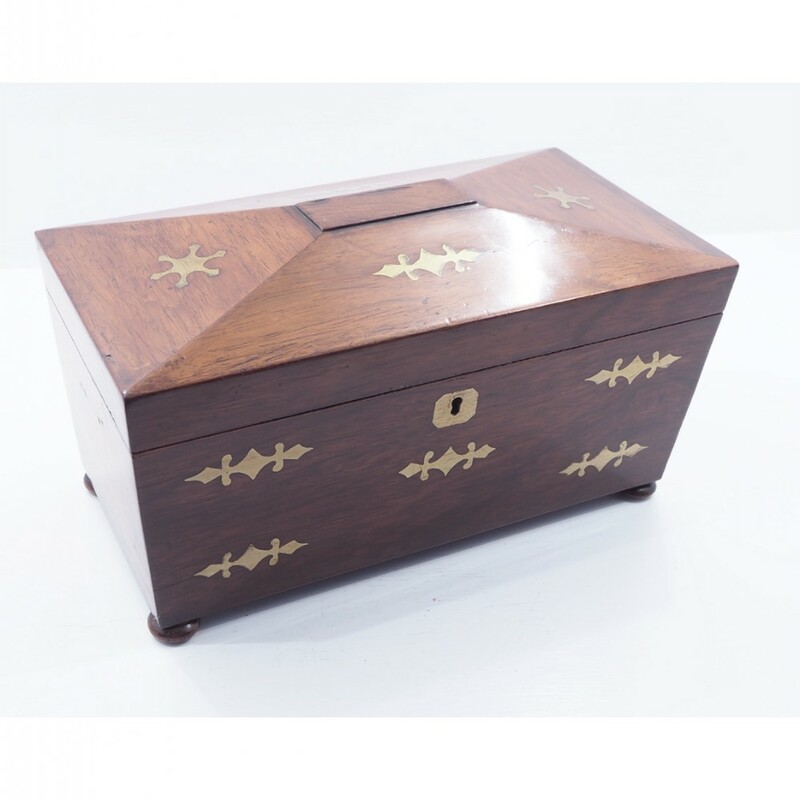 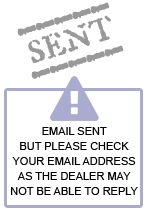 The REGENCY BRASS INLAID ROSEWOOD BOX has been added to your saved items.